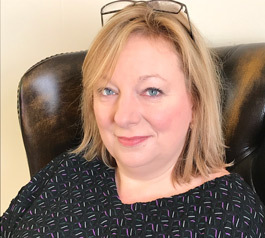 Welcome to Caroline Adams Cognitive Hypnotherapy. I can help you to overcome all kinds of anxieties and phobias which may be holding you back and preventing you from getting the most out of life. I can also help with boosting low self-confidence and low self-esteem, overcoming addictions and helping you sort out any sexual or relationship problems you may be experiencing. Whatever your reasons for coming to my site, I hope you find what you’re looking for here. The fact that you’re here probably means there is something not going quite right in your life, or in the life of someone important to you, and perhaps that has been the case for a long time. Please be assured that there is no issue too big or too small for us to tackle. If you don’t see your particular issue listed on the site that doesn’t mean that we can’t deal with it. And that’s the beauty of Cognitive Hypnotherapy. It’s so flexible, and is always client-based, tailored to you. If you’d like to find out more, please have a look at the rest of the site, or simply contact me – I will normally get back to you within 24 hours and we can have a chat about how you think I might be able to help you. I look forward to hearing from you, and hopefully meeting you at my practice at 1 Harley Street, London, W1G 9QD, an oasis of calm in Central London, where you can expect to feel relaxed, refreshed and often surprised by the beneficial effects on your life that might begin to happen, sometimes from our very first session together.